Trent Avery “T.A.” Walton, Sr.
Mr. Walton received his BSChE from the University of Arkansas in 1981, and later returned to complete his MSChE, which he received in 1983. During his graduate career, Walton studied as an NSF Graduate Fellow and DuPont National Fellow, and in 1984, he continued further studies as a Clemson University R.C. Edwards Graduate Fellow. Industrial career experiences with DuPont Clinical Systems and W.R. Grace Cryovac Division Meat Bag Research and Development opened the door to Procter and Gamble Manufacturing Company, where he worked for 23 years, specializing in research and development, manufacturing operations, human resources management, and sales and customer development. 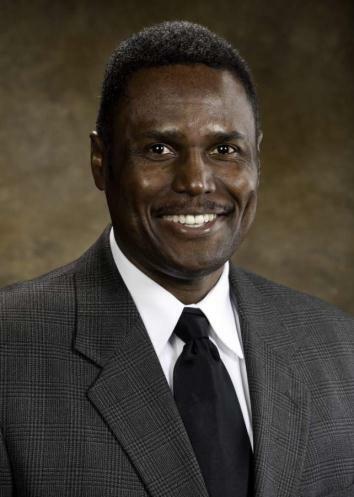 In the spring of 2009 Walton joined the University of Arkansas as Managing Director of the National Center for Reliable Electric Power Transmission (NCREPT). His position later expanded to include roles as Managing Director of the National Science Foundation’s Industry/University Cooperative Research Center for Grid-Connected Advanced Power Electronic Systems (GRAPES) and as Diversity Director for both the Vertically-Integrated Center for Transformative Energy Research (VICTER) and the Green Renewable Energy Efficient Nanoplasmonic Solar Cell (GREEN) Center, focused on K-12 outreach efforts in the State of Arkansas. Walton currently serves as a member on Chancellor Gearhart’s Council on Diversity and is a member of the university’s Black Alumni Association’s Board of Directors. He and his wife Vivian sponsor freshman book scholarships for children of University of Arkansas System Black Alumni. Walton also supports the College of Engineering, Graduate Recruiting Office and Honors College in efforts to identify high-potential students in the Arkansas Delta Area. He serves in the local community as a church deacon and school mentor, and is an avid hunter and fisherman.